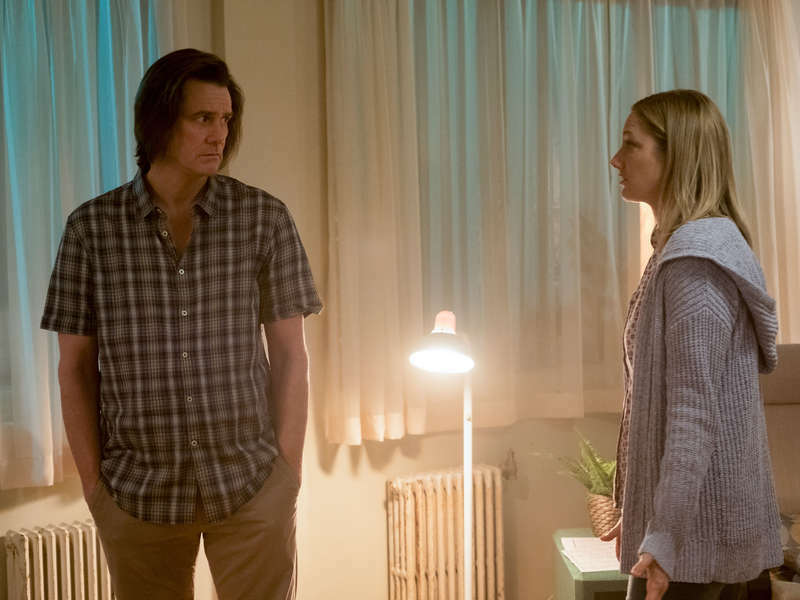 The fourth episode of Kidding�s first season expands a little more on Jeff�s personal life outside of his TV series. This is the episode where his optimism is put to the test that could affect him in such devastating measure. You can feel his happiness and sadness split down in the middle affecting his overall sanity. Once again, it�s the testament of Jim Carrey�s acting and how it parallels with the actor�s own personal life. Jeff just had his one-night stand with cancer patient Vivian believing it could be the start of a new relationship. He returns to his old house, where he tells Jill everything about the night before. Both she and boyfriend Peter thinks it�s a great thing that Jeff is finding someone new in his life and ready to move on. Feeling more confident, Jeff sends Vivian a text on his mobile phone hoping to get back together with her. Upon returning to the studio, he waits a while for a response thinking maybe her phone is broken. Deirdre thinks that there�s a possibility she may have already succumb to her cancer, which he doesn�t believe. Jeff later talks to his father Seb if the show ever did any harm as much as good. Jeff can�t help but look at the barrel special effect and wonder if any kid ever tried to imitate such a thing. We then flashback to 1992, where a young kid takes a barrel and white sheet to try to do such a stunt. Afterwards, Jeff was picking up his son Will when he runs into one of his son�s friends smoking a pineapple. The young punk tells him that it�s true what the dark web says about him supposedly working as a sniper for the army. Suddenly feeling the need to get into character, Jeff intimidates him by telling him how killing those enemies made him feel good before grabbing the pineapple bong and throwing it at a tree. After picking up his son, the two of them went to a phone store so that Jeff wish he can get a new phone thinking his old one doesn�t work. Will assures him that maybe Vivian doesn�t have the time to answer back because she was busy. 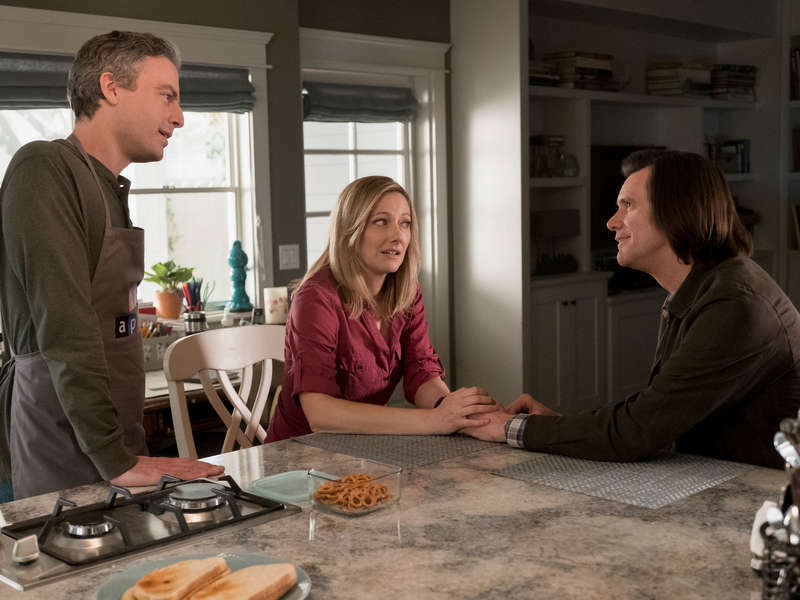 The scene also reveals that Jeff has been sending money to the guy who caused the tragic car accident to help pay for his bills and enough more for his daughter. This revelation leads Jill to confront him in one of the episode�s last scenes. It�s good that his heart is in the right place, but she argues it�s still hard for her to handle the hurt inside she still feels from the tragedy. She also exclaims that he needs to get back into the real world by accepting that Vivian will never call him back. This puts Jeff in a moment of darkness until a text response puts him back at ease. Meanwhile, Deirdre feels more conflicted than ever feeling her marriage is coming apart. She even takes out the frustration on her daughter Maddy when she�s helping her with her loose tooth. At the studio, she works on a giant Mr. Pickles head that her brother naturally disapproves. In spite of what Seb wanted for the show, Jeff is certainly irreplaceable. As you watch the episode, you may ask some questions about whether things are true or false. Truth and lies seem to dominate this episode and though you may not get all the answers, it�ll still make you want to look at the world in a different light. Hopefully, more of the truth will present itself later on in the season.